J.J. Filiault is co-founder of Berkshire Fairfield Insurance Agency, a firm he and partners established with the philosophy that the best way to serve clients is to present tailor-made risk management and insurance solutions and to offer premier customer service to meet your unique needs. J.J. is a Property and Casualty Insurance Broker, Certified Insurance Counselor (CIC) and Licensed Insurance Advisor (LIA). He works primarily with business managers and owners, and in high-risk industries. 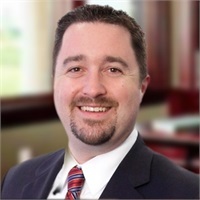 J.J. has 14 years of insurance and risk management experience. He was Business Development Manager for Reynolds, Barnes & Hebb, Inc.’s Commercial Insurance division and Business Insurance Executive at Berkshire Insurance Group’s Pittsfield, MA, headquarters. J.J.’s career has centered on a partnership-based approach to managing each client’s specific risks. With our knowledgeable team, he uses an in-depth risk identification process that produces customized asset protection plans that ensure your business success. J.J. received his BS from Saint Michael’s College.